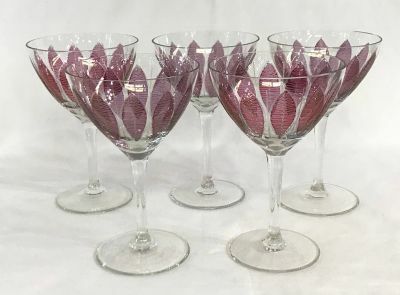 Vintage cocktail glasses. Unmarked, likely Scandinavian, circa 1960s. Showing 5 of a set of 8. 4 3/4” high, 3 1/8” diameter. $295 for the set of 8.